Lots of college football players aspire to take their talents to the next level, with very few aspirations beyond the football field. But for former LSU defensive end Lewis Neal, developing a Plan B was top priority. He is a projected early-round pick in the NFL draft, so he has options. Neal, a 6-foot-2, 272-pound lineman who amassed 118 tackles and 12 sacks in four seasons at LSU, announced via Twitter on Dec. 12 that he will be the owner of a financial investment firm handling foreign exchange and cumulative translation adjustment (a process used to balance and account for currency gain/loss fluctuations). Four days later, Neal earned his degree in sports management. Even more impressive is the fact that Neal has accomplished all this at age 21. 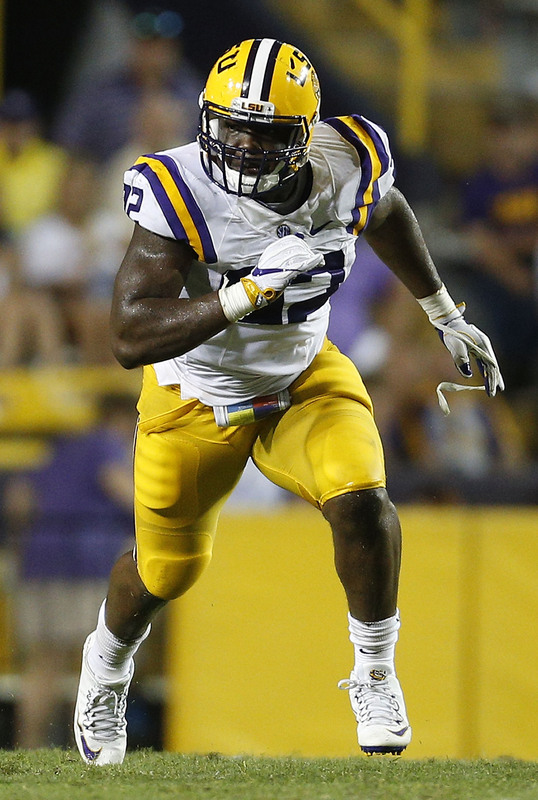 Lewis Neal #92 of the LSU Tigers defends during a game at Tiger Stadium on September 10, 2016 in Baton Rouge, Louisiana. According to the Bureau of Labor Statistics, in 2015 African-Americans made up only 10 percent of the finance and insurance workforce. The percentage decreased to 6.2 with funds, trusts and other financial investments. Neal’s firm, Foreign Exchange CTA, will do investing and consulting in currency markets. Neal’s curiosity about investing began his senior year of high school, but it wasn’t until his sophomore year at LSU that he began taking trading seriously and learned that his hobby could be turned into much more. The investment firm is one of many ventures Neal has dabbled in during his collegiate career. Day-trading on the Foreign Exchange (Forex) market — the world’s largest exchange market that sometimes sees a daily turnover of $4 trillion — allowed Neal to earn enough money to become the co-owner of the Hair Factory salon in Baton Rouge, Louisiana. Neal and a friend also developed a smartphone app for students.